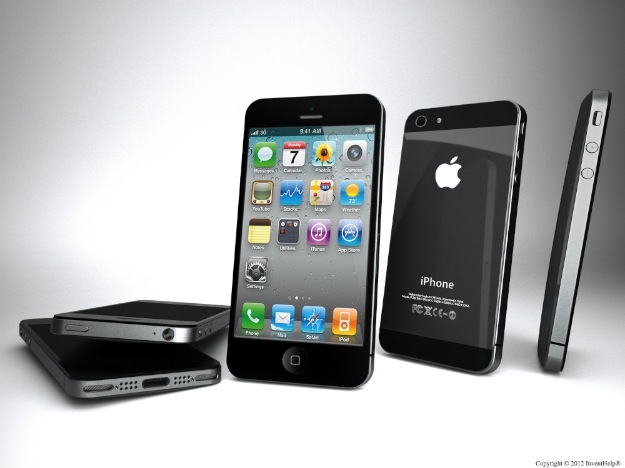 The iPhone 5 is taller and thinner than its predecessors. With the new design and improved features the business professionals are going to benefit a lot from it. The following are some of the reasons how iPhone is important for business. The iPhone 5 comes with iOS7 that has a lot of in built features that are designed to make the business users more productive than before. One of the best features is the “AirDrop” that allows quick and easy file sharing with a single click. Photos, videos, contacts and any content can be sent and received through the AirDrop enabled app. This helps team members securely share files easily and thus communication is improved. Clients will be happy as business owners can send proposals, files, and blueprints to them through iOS devices. Users can download “iWork” from the app store, this is a productive app which includes Apple’s version of word, excel etc. Many business owners need to hire a professional photographer and buy expensive equipment for the job to click pictures of their products and services. However, now they do not have to do so as the iPhone 5 can do the job for you with the iSight camera. IPhone camera comes with 8MP camera and there is a 33% boost in the light sensitivity. The camera sense the colour temperatures, adjusts flash to produce better pictures with natural skin tones. All these features will help business owners to capture beautiful and professional photos and videos for their website or log or to post photos and videos on social media sites. There is better security with the iPhone 5s as your fingerprint is your password to log into your phone. The touch ID is a fingerprint technology sensor that is placed on the home button. It scans your fingerprint to unlock the phone and authorize the access. Touch ID is beneficial to the business owners as it provides additional security to the device from unauthorized access and purchase. Business owners can provide better user experience for their customers. With a business iPhone app your customers can buy your stuff in one simple step. The iPhone 5 is the most LTE friendly smart phones. The iPhone 5 provides the connectivity upgrades up to 13 LTE bands. This helps users download and upload files faster, which is very important for the business people. It provides business travelers better coverage to any place they go. One of the good things of the iPhone is the new A7 chip, which equips the iPhone with a 64 bit technology. This is a first smart phone in the world which is desktop class. The iPhone 5s has an improved CPU and graphics performance. The battery life of iPhone 5s is 10% better than its predecessor. Therefore with the improved processor speed and the long lasting battery life, business people can now surf the web faster, perform heavy business tasks and your battery will support your heavy work too. The iPhone’s built-in support for the key enterprise tech means it will fit your present infrastructure. It is easy and secure for the business people to access the company’s emails, contacts, calendars etc. using IMAP, CalDAV. It is easy to connect to the VPN and WPA Wi-Fi networks. Sky phone number brings all the latest news, movies and entertainment shows to your home, PC, tablet or phones. With the new layered approach to security, such as the device policies, restrictions, encryption methods, business owners can use their phone for business purposes without any doubts about security. The encryption key based on iPhone’s passcode, emails and attachments are safe. Business owners can manage all their devices with a password and policy enforcement and profile tracking. Business owners can manage all their devices from one place using software such as MobileIron, Casper etc. Melody Cleo is a passionate blogger from Manchester, UK. In is free time, she writes articles on various topics such as technology, gadgets, travel…etc. As of now she is focusing on Sky Phone Number, which provides information regarding broadband services, radio services and television services.